Over the course of the last 25 years, mediation has grown to become the preferred alternative method of dispute resolution for businesses. 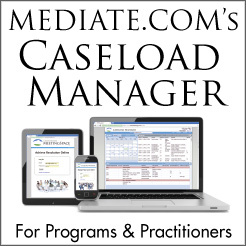 There are a wealth of benefits business mediation offers in comparison to litigation. Mediation brings reduced resolution expenses, less stress, higher resolution satisfaction, stronger post resolution relationships, and more. While you may already be familiar with the process and its benefits there are a few important facts those considering mediation for a legal issue their business is facing should know. In large bankruptcies, mediators often are employed to help creditors and borrowers reach agreements that will allow the borrower to continue to operate and give the creditor a chance to recoup some of the money they are owed. It is critical to the parties in such situations that the mediator remain entirely impartial, as both sides have so much at stake and so much to lose. If the mediator is perceived as favoring one side or the other, the parties are likely to perceive the bankruptcy process as illegitimate and may feel that unfair obligations are being imposed. The question of mediator impartiality is discussed at length in a Wall Street Journal article detailing the use of mediation in the City of Detroit bankruptcy. The mediator in that case was often viewed as lacking impartiality and instead advocating for creditors. The perceived lack of impartiality created controversy and resulted in some of the parties losing some faith in the mediator and the process. In the bankruptcy courts, however, there is a procedural safeguard that can mitigate against perceptions of mediation bias: judicial review of agreements. Once the parties reach an agreement, either on their own or with the help of a mediator, the presiding bankruptcy judge has to approve the agreement on the basis that is fair to the parties and other creditors. If the parties have concerns about the mediator’s impartiality, or if the judge determines that a proposed agreement is the product of a biased mediation, the judge can reject the agreement. There are many circumstances where there is no opportunity for judicial review. In those cases, parties who believe the mediator is not fully impartial should not participate or make any agreement which they believe is effected by any bias. Often, especially in legal matters, parties in conflict see taking their case to mediation as signifying weakness or fear. Since lawsuits are adversarial, this perception is understandable. In contentious cases, with difficult adversaries, showing weakness can be problematic and disadvantageous. There are other factors to consider when deciding to take a case to a trial or final hearing. Attorneys and parties should remember that mediation offers control over the outcome of the dispute which is directed by the parties themselves. Unlike mediated resolutions, court decisions are often not consistent with the parties interests and courts have a limited scope of remedies. A court may also be reluctant to extend a theory of liability in a way they are being asked to, despite clear evidence that such a decision is just. A court decision is a retrospective snapshot judgment based upon law and judicial perspective, not a carefully constructed resolution tailored to the parties present and future interests. Taking a case to trial can be a bold, strong maneuver. It also necessarily requires putting your case in the hands of a judge or jury. In many cases, that’s a step with leads to less than satisfactory or incomplete results. Mediation keeps the case in the hands of the parties and gives them complete freedom to construct any kind of resolution to which the parties can mutually agree, without limitation as to the kind of remedy. If the stakes in the outcome of your conflict are too high to risk allowing someone else to decide your case, think of mediation not as a sign of weakness, but as a method of taking control. Mediators help parties to settle disputes by facilitating discussion and encouraging the parties to explore, acknowledge, and understand the other’s motivations and interests. Lawyers, judges, and mediators should all remind parties in a conflict that the pragmatic reasons to settle a case or dispute are sometime equally, or more, important than the specific questions being contested. Parties in conflict and mediators should also remember that there are typically general, pragmatic motivations and interests which we most often share. These pragmatic interests often serve as powerful motivation to resolve a dispute. There are few, if any, conflicts which do not implicate some form of these basic, pragmatic interests. Whether you are caught in a conflict, or trying to help resolve one, remember the basic practical considerations that can often point towards settlement. These pragmatic concerns will form the path to an agreement. Is there a right time to enlist help of a mediator? Is there are wrong time? Like any complicated matter, a business conflict is unique in terms of its particular subject, the parties’ motivations, and the overall context. So, decisions regarding how and when to attempt to resolve any specific conflict should be made in consideration of those attributes. In some instances, like employment or contractual disputes, there may be a written policy or contractual provision which expressly identifies when mediation should occur. In most cases, however, the decision is left to the parties and, if they have them, their representatives. 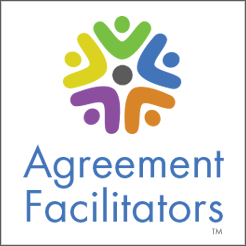 Future Relationship of the Parties: If the conflicted parties are likely to be required to interact in the future (parents, family members, business partners) it may behoove the parties to mediate as quickly as possible. The less time the parties spend engaged in conflict, the fewer angry words exchanged, the better chance to preserve a future relationship. Inability to Communicate: If the parties ability to have a productive conversation has been diminished or eliminated by anger. The presence of a mediator, and the ability to privately caucus, may offer the parties a method to have a constructive discussion that would otherwise not be possible. Lack of Realistic Understanding: If one, or both, the parties in a conflict are unwilling to acknowledge the realities implicated by the conflict (a vendor won’t pay a bill; a party overvaluing claim), mediation may help. A third-party view of the conflict may provide a reality check. Appearances and positions do not always reflect the truth. Parties to a conflict usually can’t resolve a dispute unless both sides share a realistic vision of possible outcomes. Appearance of Weakness: There are occasions, especially in lawsuits, when the parties may have an interest in determining whether the decision to mediate might send a signal of lack of conviction in the merits of their claim or defense to the other side. Serious consideration should be given to how a desire to mediate is expressed, and care should be taken to avoid creating an appearance of weakness. In such instances, especially if involved in active litigation, it may be better to reference an external authority (court rules, policies, suggestion of judge) as the source of the desire to mediate. There is no definitive answer to the question of when to mediate. Think about the context of the conflict and determine whether the parties are effectively communicating. Be mindful of the appearances and signals sent by a suggestion of mediation and whether a future relationship is likely. Most of all, think hard about whether mediation could help. If so, it is likely the right time to mediate. Christopher McHallam is a member of the panel of neutrals for Civil Alternative Dispute Resolution. For the past seventeen years Chris has focused on bringing mediation and conflict management to a broad spectrum of disputes and problems. A level-headed professional who understands the value of relationships, he has over 18 years experiences as an attorney, and is licensed in both Massachusetts and New York.